New prices are effective from today, across India. 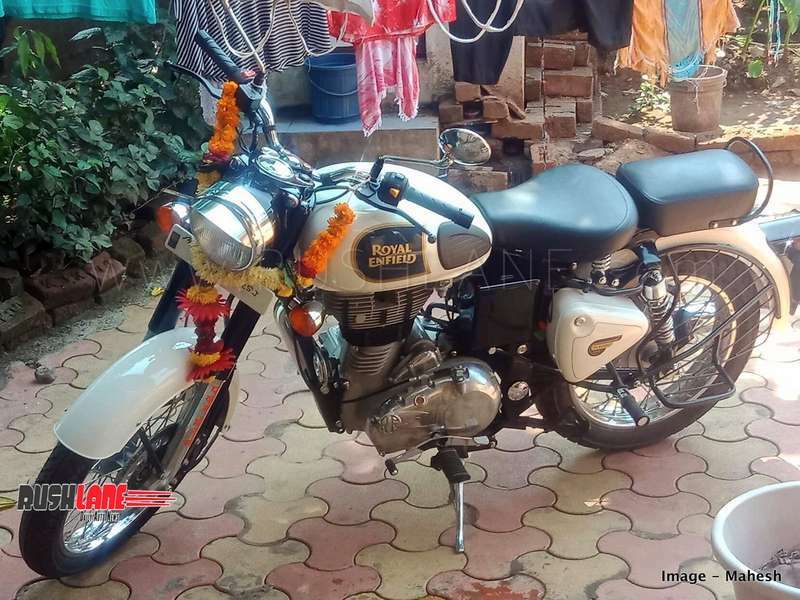 As Royal Enfield continues its segment dominion (250cc – 500cc) in the Indian two-wheeler market, the company has been working round the clock to implement timely changes. The company initiated inclusion of ABS across a range of its bikes on offer. This includes Classic, Thunderbird, Himalayan and Bullet. 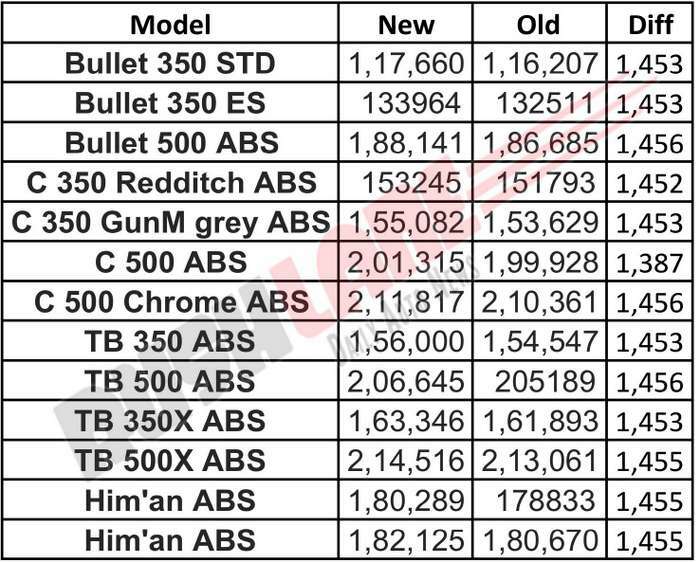 With dual channel ABS now a feature across most of its range, the Bullet 350 is yet to get ABS, but this is expected to be a norm in under two months as its now mandated for bikes above 125cc to feature ABS before the deadline of April 1, 2019. The company has also initiated a price hike across its model range. The price change across all RE bikes (except the 650 Twins) is under 1.5k. While the company hasn’t made an announcement yet regarding the price hike, dealerships have moved to the updated price list. With price hikes being part of the package of new MY vehicles, a part of the cost can be attributed to increasing production costs. As the Indian auto industry combats the throes of flattish buyer sentiment, Royal Enfield reported January sales at 7 percent sales decline at 70,872 units sold, down from 76,205 units sold in Jan 18. Exports are up 9 percent at 1,829 units, up from 1,673 units sold in Jan ’18. Total sales were reported at 72,701, down 7 percent from 77,878 units sold in January 2018. However, this hasn’t dampened Royal Enfield’s quest to post growth for FY19. YTD ( April – January 2019) sales stand at 6,86,773 units, up 5 percent from 6,55667 units sold in the same 10 months in the last FY. Exports are up 1 percent at 15,864 units sold, up from 15,661 units. Total sales too is up 5 percent at 7,02,637 units, up from 6,71,328 units sold in the same 10 months last year. For the current FY, Royal Enfield has revised production guidance twice for FY19, which means RE looks to end the year at production of 8.75 lakh units as against the 9.5 lakh units initially decided.